Do you like bad jokes? If you have a good sense of humor, then Russell is the man for you. All of the nurses try to keep Russell’s sense of humor under control by singing instead. Don’t be surprised if the nurses don’t laugh at the jokes; remember they have heard the same lines over & over again. So if you know any good jokes please come in & share them with Russell. Between laughing, joking, and singing, Russell & his girls work well together to give you a dental experience you won’t forget. 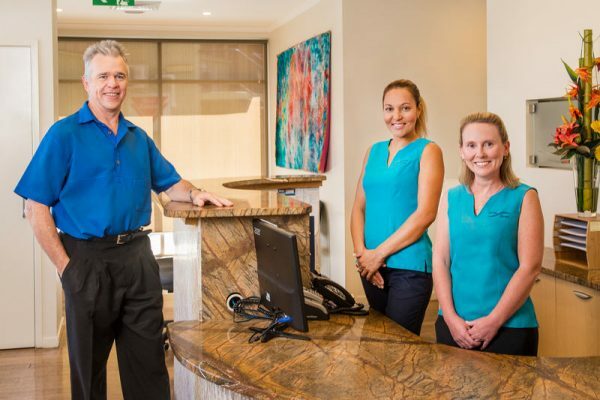 Russell opened the practice in 1988 and has watched it grow substantially ever since. He listens to the individual needs of each patient and adjusts his treatment accordingly. 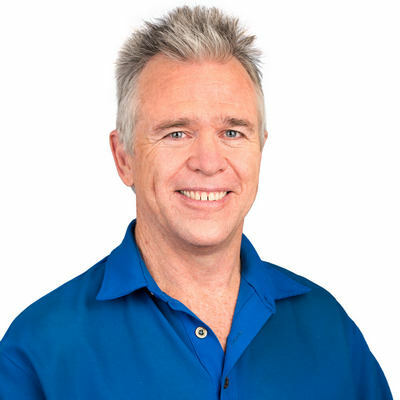 Russell is always expanding his knowledge on new techniques and has a passion for doing implants & TMJ treatments. He loves spending time with his family & keeps fit & healthy by walking or gardening. Russell has completed the Kokoda Track & now Karen is trying to find more places to send him.